Leftovers are produced in every house and generally we trash them instantly without even thinking that it can be reused in different forms. 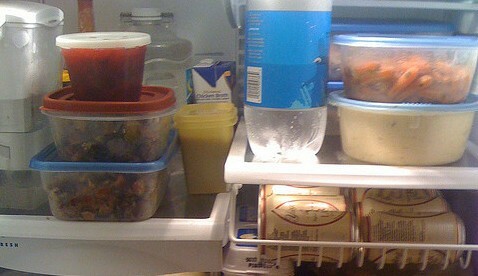 Almost every type of leftover can be reused provided you consume it within 24 hours. Although the type of leftovers can differ depending on your geographical location, your cuisine and culture, the recycling process is more or less similar. We're going to learn some of the common methodologies to easily recycle the leftovers. You may do minor adjustments to suit your exact needs and may improvise on these techniques to get the better results. The best reusing techniques are those which transform the leftovers in such a way that no one can guess whether they're eating fresh food or consuming a preparation made from leftovers. 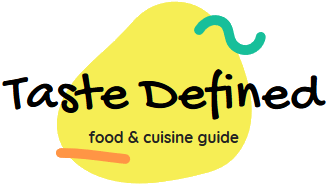 So let's get started and begin our journey to reuse our food in a better and tasty way. Rice is one of the most common leftovers in the kitchen. Fortunately, you can easily reuse them in different ways. Plain rice can be transformed into several new delicious preparations depending on your taste and preferences. You can saute them with vegetables and various sauces to prepare a spicy fried rice variation. If the quantity of plain rice is more, you can soak them in boiling water for 5 minutes and can add 1/2 tsp of fresh lime juice. This way, they'll again become fresh and white for regular consumption. Friend rice leftovers can also be reused in different formats. You can add some meat or vegetables and can make fried balls in the form of tea time snacks. You can also add them to pasta and noodles preparations to make them richer and tasty. Meat is cooked in various forms across the globe. If the leftover is in the form of minced meat, you can instantly use them in stuffing for patties. Steaks can be reused in the form of stew or with soups. Leftover grilled chicken can be easily reused with fried rice or noodles. Curried meat leftovers should be grilled and microwaved with fresh marination of spices. This will give them a new tangy and spicy taste and the family members won't be able to guess that they're consuming leftover meat. Sometimes, patties from burgers are also left in the fridge. You can add them to beef stew to enhance its taste that's beyond your imagination. I simply love to recycle leftover vegetables. Tuberous vegetables can be easily added to the fried or plain rice. If you have leftovers of baked vegetables, add them to curried meat preparation with some added spices. Steamed vegetables can also be added to the salad with a nice dressing. If you have some mixed vegetables as leftovers, puree them with a soup base to enhance the overall taste. Salad leftovers can be easily consumed with burgers and patties. And last but not least, if you struggle to find a good way to reuse leftover vegetables, simply mix them with boiled potatoes and create a fresh preparation.